Featuring companies specializing in sporting goods, health foods, fitness clubs and other industries important to keeping a healthy lifestyle. More than 600 competitors and race enthusiasts to attend. The Health & Fitness Expo will run from 3 to 8 p.m. Deadline to participate as a booth exhibitor is Friday, July 26. 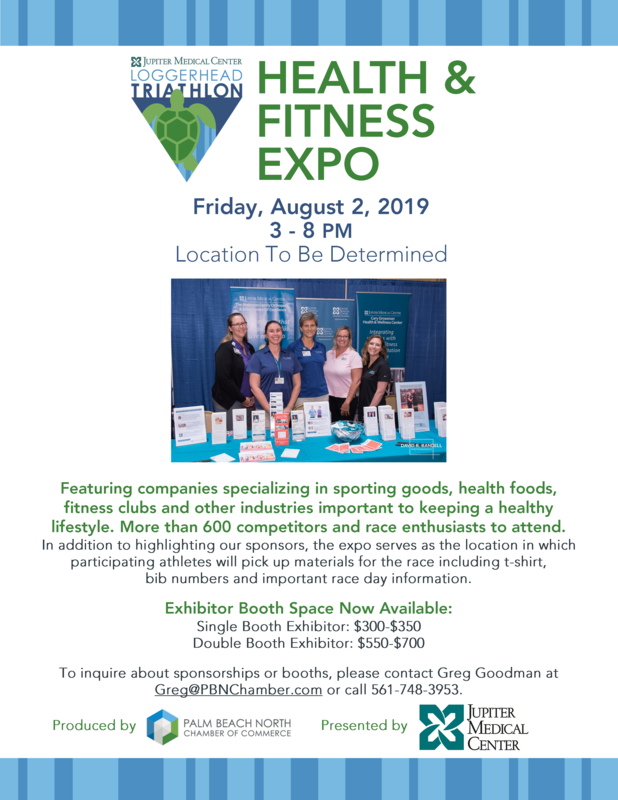 Taking place the day prior to the Loggerhead Triathlon, the Expo serves as the location in which participating athletes will pick up materials for the race including t-shirt, bib numbers and important race day information. New competitors to the Jupiter Medical Center Loggerhead Triathlon can attend a "First Timers" seminar at 6 p.m. at a to be determined location. "First Timers" Seminar: 6 - 7 p.m.